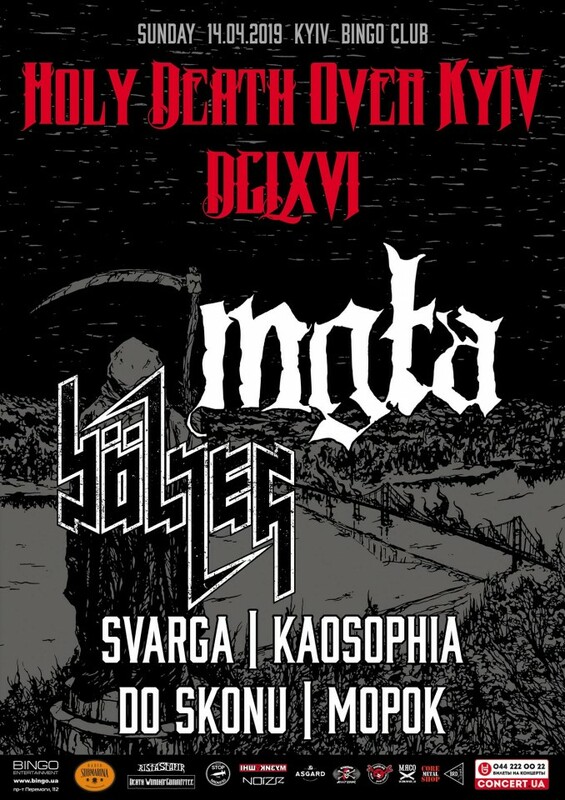 The one-day festival of black metal music Holy Death Over Kyiv will take place on April 14, 2019 in Kiyv, Ukraine. Among other performing acts are the Polish act Mgła, the Swiss duet Bölzer, as well as the Ukrainian bands Kaosophia, Svarga, Do Skonu, and Morok. Announcement from the organizers: "14th of April club’s "Bingo" stage will gather the best representatives of Black Arts. Mgła – legends of Polish Black Metal scene with the first performance in Ukraine. This is something that everyone has been waiting for so long. Svarga – after 5 years of silence, this cult Ukrainian band decided to get out of the shadows and to raise a black storm over Kyiv. Morok – the collective, headed by the multi-instrumentalist Severoth. This will be the first live performance of the project, so we advise you not to miss."